McNair Middle School STEM teams earn top awards at regional competitions. Two Science, Technology, Engineering and Mathematics (STEM) competition teams from Dr. Ronald McNair Middle School stood among the best at two regional events. 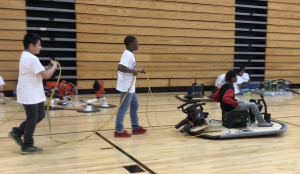 The McNair Middle School Hovercraft team earned a pair of awards in the 10th Annual Fulton County Hovercraft competition, held at Northview High School. “The Flying Colts” earned first place in Best Speed/Qualifying time and second place in Performance, out of 10 teams. The Flying Colts are led by faculty sponsors Dr. Hampton and Mr. Muhammad. McNair Middle School’s newest edition of its Drones competition team, Drone Zone, proved that they come to win as well. 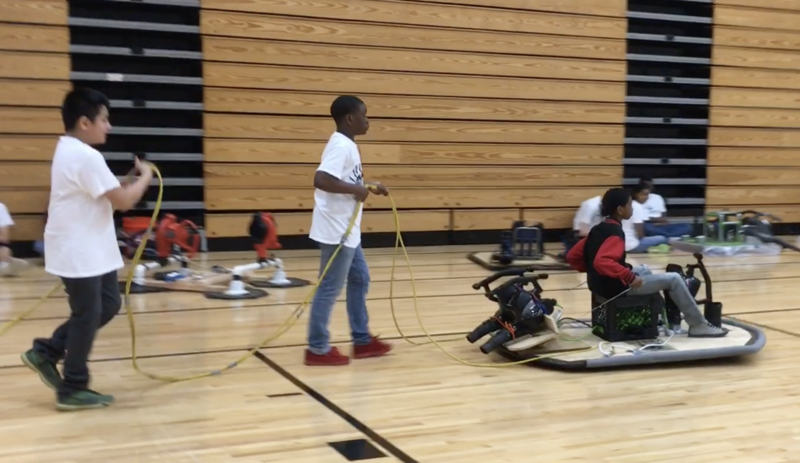 Drone Zone, sponsored by the 100 Black Men of DeKalb, was honored among 35 teams that competed in the Grady High School 3G-Drones for Good competition. The students were challenged to identify a problem and develop a conceptual solution that positively utilizes drone technology in their school, community, city, state, or in the world. The Drone Zone took on the topic of diabetes.